1285464672 -Up-to-date and comprehensive, this practical best-selling text helps readers learn how to deal with and apply ethical standards. It provides readers with the basis for discovering their own guidelines within the broad limits of professional codes of ethics and divergent theoretical positions. The authors raise what they consider to be central issues, present a range of diverse views on these issues, discuss their position, and present many opportunities for users to refine their own thinking and actively develop their own position. Readers explore such questions as: What role do the therapist’s personal values play in the counseling relationship? 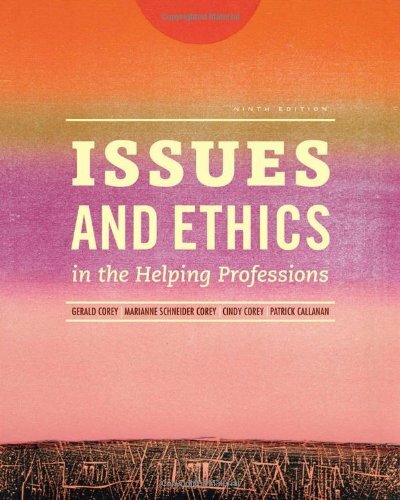 What ethical responsibilities and rights do clients and therapists have? What considerations are involved in adapting counseling practice to diverse client populations?